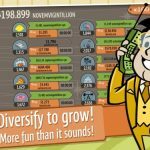 In Kongregate’s popular strategy game, AdVenture Capitalist, you can earn more than you’ve ever dreamed of making, albeit only during in-game scenarios. 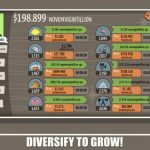 The game, which is available on Android and iOS platforms, takes you from the humblest of beginnings, running your own lemonade stand until you become a millionaire, billionaire, trillionaire, and even more than that as you keep playing the game. 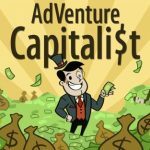 Now, we’re going to keep this introduction short and sweet, being that we’ve given you a few AdVenture Capitalist tips and tricks in the past. This time around we’re going to focus on the new AdVenture Capitalist “Moon mission” update, and offer you some strategies and answer some questions that can help you make it to the Moon as soon as possible. This will only happen when you’ve earned one decillion dollars (yes, that’s an actual number), and once this happens, you’ll see the option available in the Mission Control menu. Yes, you will have to wait a while – the real-world equivalent of seven days, that is – but there are ways in which you can expedite things. This can be done by spending bucks or angel investors – buying all three of each will allow you to go on the Moon mission immediately. Another way to get to the Moon faster is to use the good old fashioned time lapse cheat we’ve told you about more than few times before. In case you’re not familiar with it, the time lapse cheat requires you to go to your device’s Settings and to change the date and/or the time. In this case, you have to advance the time by seven days. We suggest making it seven days and change – try setting the date/time ahead by an extra hour or two. Reenter the game and you can go on the Moon mission immediately. We’re not talking science here when we say that the Moon and Earth have some similarities. What we mean to say is that the Moon will also have its own currency, and its own angel investors. You’ll also have shops that you can purchase when on the Moon, and you’ll also be able to upgrade. But that’s pretty much where the similarities end – shops on the Moon are all out of order, unlike how they are on Earth. This will only be different in the last three to four shops. There are quite a few, but the most important ones are the oxygen bar and the moon cheese shop. The former will earn you a great deal of cash for a good period of time, while the latter will make you wait a bit longer before you earn, but can also earn you a lot of money in any case. Unlocking upgrades for the oxygen bar would allow you to multiply your earnings there by twelve-fold. On Earth, watching ad videos can help you get some gold upgrades, but as things are different on the Moon, you’ll have to re-watch the commercial while you’re there so you can get your corresponding ad bonus.